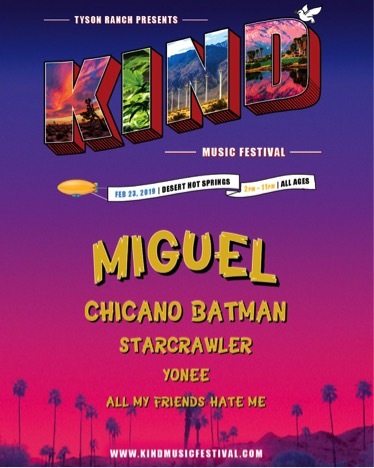 DESERT HOT SPRINGS (CelebrityAccess) – Miguel, Chicano Batman, Starcrawler, Yonee and All My Friends Hate Me, have been announced as performers at Mike Tyson’s inaugural KIND MUSIC FESTIVAL (KMF). Set to make its debut Saturday, February 23 in Desert Hot Springs, CA on the future site of Tyson Ranch Resort, a 420-acre entertainment complex, luxury glamping resort and cannabis research & design facility created and owned by Tyson, the one-day pop-up event will start at 2:00 PM. 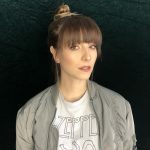 KIND MUSIC FESTIVAL will have the distinction of being the first-ever music festival that embraces California’s updated 2019 cannabis regulations, however, no sales of cannabis products will be permitted at the festival. Tickets for KIND MUSIC FESTIVAL are on sale now at www.kindmusicfestival.com. 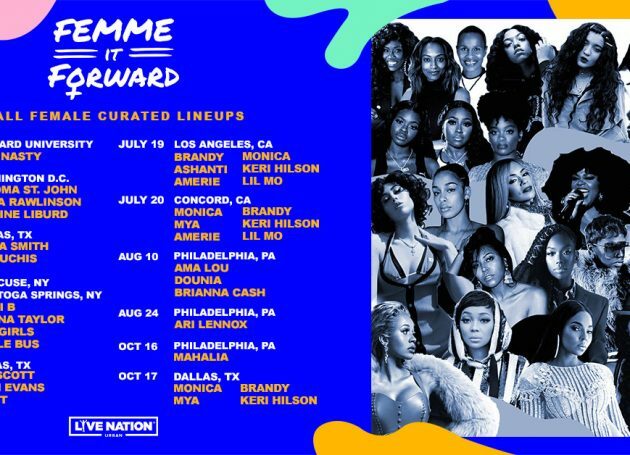 A portion of all proceeds from KIND MUSIC FESTIVAL will be donated to the 501(c)(3) non-profit organization, STANDING UNITED, which aids those struggling with drug addiction and homelessness, a cause that KMF holds dear as several employees, including a number of executives, are in recovery.